During my time here I have befriended a group of local kids. 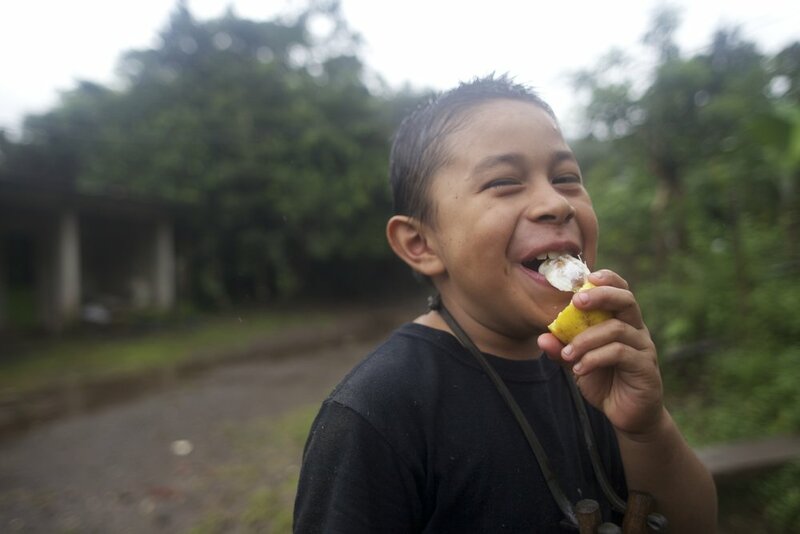 One day they ask if I would like to go pick some "lemoncello", so we walked up to a top of a hill where this fruit tree was growing and two of them climb to the top and begin to drop the fruit down to me. What seems to be a Garcinia sp. that I have not identified, one of the tastiest fruits I have had in a while. Names from left to right. Diego, Juan Carlos, Luis, Octavio.